Logo for the 2012 Muny production of The King And I. It is always a challenge to reinvent a classic (including the discussion about whether or not the classic should be invented at all! ), but our production very much needed its own voice rooted in something slightly different than previous representations. 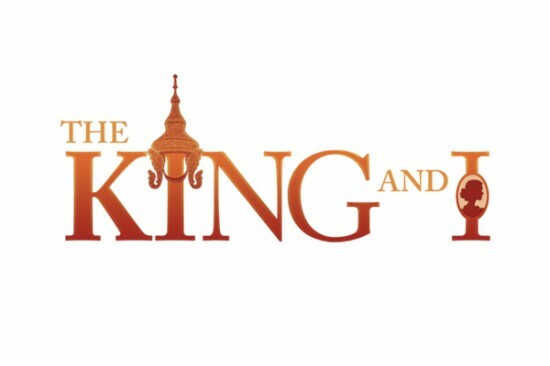 I became intrigued with the actual historical details of the story of Anna and King Mongkut. 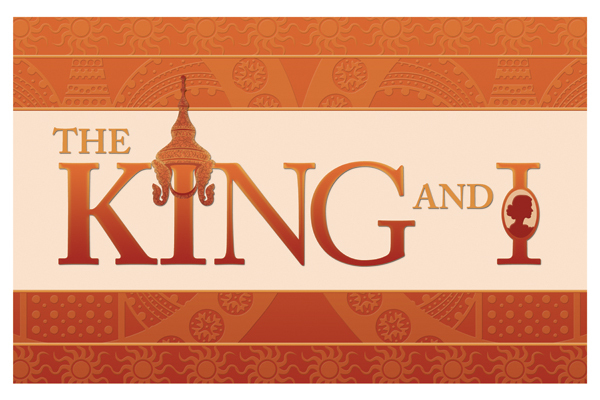 The crown illustration is based on photographs of his actual crown, and the texture of the background comes from Thai textiles. Anna is present in the cameo, since the story is very much about two people, not just one. All 2012 Muny logos depended on strong graphic elements instead of photo-based treatments. 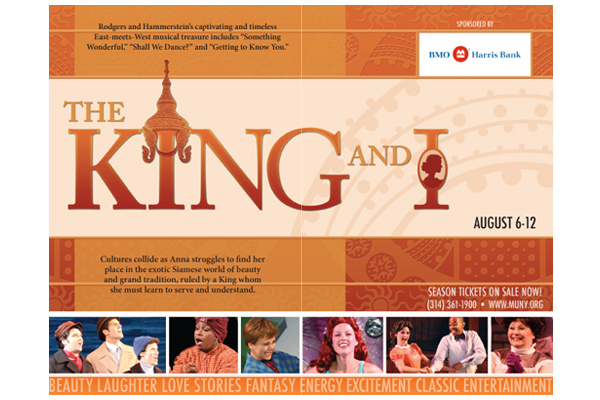 Shown: full logo, simplified mark, and the show page from the 2012 brochure (where photos were used along the bottom as a running filmstrip of small highlights).